Think of your life purpose. Why are you here and what do you want to accomplish? 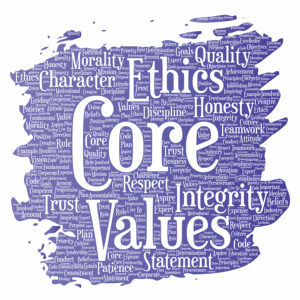 Which of your core values will guide your behavior as you attempt to live a purposeful life? In this workshop, you will identify your core values, define and connect with them, share and understand each other’s core values, and explore ways to manifest your core values in your daily life. Join AWWEE (Association of Women in Water, Energy & Environment) for a guided workshop led by Mayela Manasjan. Mayela Manasjan is the Chief Environmental Optimist (CEO) of The Manasjan Consultancy, a Senior Environmental Specialist with the City of Encinitas and an Environmental Science Professor at UC San Diego Extension. She has over 17 years of experience in the public sector in environmental management programs including: water resources, stormwater management, shoreline management, wildlife management, resource conservation and climate resiliency.